Difference between Otterbox commuter and defender. • Categorized under Gadgets,SmartPhones | Difference between Otterbox commuter and defender. It is a world of electronic devices and almost all of us carry a handheld device with us. Unlike a decade ago, the phones we use are not just for calling or messaging but have gained far greater significance than that. The smartphones that we keep with us have all our media files, our important documents and are usually the only way that we communicate, be it via calls, video calls, text messaging, emails etc. Moreover, the importance of communication in today’s world cannot be stressed enough. For many people, their careers depend on their smartphones and it is of the utmost significance for them to be able to take special care of their handheld devices. With the great extent to which an average smart phone is used, while working, dining, walking, travelling etc., there are many occasions when there is the threat of one’s phone falling or slipping from one’s hand or getting damaged in any other way. For this reason, people use cases or covers for their electronic devices, be it smartphones, tabs, laptops etc. There are many different types of cases and covers available throughout the world. One very famous company that makes electronic cases for mobile devices is Otterbox. It is a company that is publicly owned and comes under the category of consumer electronics’ accessory manufacturer. 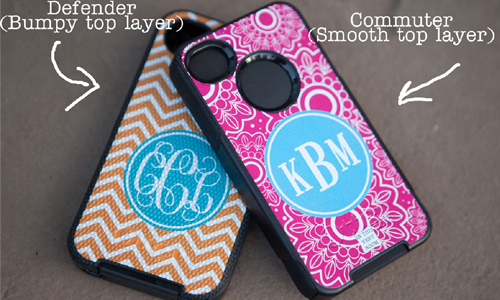 It specializes in making water resistant and shock resistant cases for mobile devices. Two product series of Otterbox that are very popular are the Otterbox commuter and the Otterbox defender. The two have some differences and are made for different types of people. The Otterbox defender series makes protection its priority. As evident from its name, the cases of this series protect your mobile devices from any sort of damage; and that includes damages the phone may incur in some very harsh or tough conditions. The cases are next to indestructible and the consumers they target are people who do construction work, are in the police, fire fighting squads or any other such job which poses a threat to their mobile device. The defender comes with a belt chip holster. There is also a built in screen protector. What enables the defender series to take care of your phone to such a great extent is its hard shell skeleton with a soft silicone case and the above mentioned built in screen protector. What’s more, using the phone and its camera, touch screen, buttons, headphone jack, charging port is very easy even with the case on. One drawback that it has is its weight; it is quite bulky. The commuter series, like the defender also does its best to keep your phone as safe as it can. However, its priority is not just safety. It is slimmer and lighter and especially for those who prefer light weight and the ‘handy’ feature of a phone more than its safety. It lacks the built in screen protector and the belt clip holster. It has a soft case layer that provides shock proof protection. It also has a hard case layer that protects the device when it falls. It comes with a screen protection installation kit. The charging port and the headphone jack are covered by silicon plugs. The Otterbox commuter is also made to provide safety to your phone but the safety it promises is against every day threats to your phone, such as falling down or getting struck with something etc. The defender series promises safety even in some very abnormal situations such as the phone falling from a considerable height etc. Both the cases focus on the safety of your phone; but the defender is more dedicated to safety and is especially made for construction workers, policemen, fire-fighters etc. allana. "Difference between Otterbox commuter and defender.." DifferenceBetween.net. November 25, 2014 < http://www.differencebetween.net/object/gadgets-object/difference-between-otterbox-commuter-and-defender/ >.